As always, please bring a copy of your chosen ride with you. If you have a new route that you would like share with us then please do send them in via the website or our Facebook Rear Hub page. … those of you with a sense of fun about you will have joined in the greatest cycle event Ivinghoe ever sees – The Tinsel Ride (Saturday 17th December) – but more of that nearer the time. There’s lots of other great stuff got to happen before then…. We’ve got the Velos Christmas Gathering at the Rose & Crown on Friday 16th December. £15 per person – other halves, partners, spouses welcome too. Money & dietary requirements to Sally Beezer or Elke & John Hegarty please. The Church Lane (Pitstone) Christmas Lights Switch On is Saturday 10th December – we are expecting great things from the Velos representatives! And I believe it’s the 20th anniversary this year ….. The youngest members of the Velos will reach “double digits”, each rather than combined, so the Tea & Cake will be on them at some point in the next couple of weeks….. QUICK!!!! In true Black Friday spirit – grab it before it runs out!!! There rides on offer this week. So…. in his new live show, MrMcIntyre tells us all about the week in Austria he was “forced” to endure at his wife’s insistence…. lose a stone in a week…. eat lentils and juice…. and look miserable…. The best words he says…? Eat cake and be happy. So once again, the Tea Ride gets it right. Tea/coffee … and endorphin raising cake. Inane banter and information free of charge. Bring some pennies …. Leaving the Rose & Crown at 10am. Back for lunchtime. Wrap up warm and bring the the bike you are most proud of. Or the one that you have. We don’t judge and we don’t care. We just want to see you there with a bit of enthusiasm and we promise to look after you. (Under 16’s must be accompanied by a responsible adult). 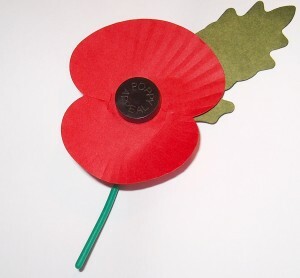 As we normally do on Remembrance Sunday, our rides will stop at a church, just before 11am, to pay our respects. This year there has been some discussion on the Rear Hub about our plans and it has been decided to stop at a the church in Ivinghoe rather than the one in St Leonards. After stopping, the routes are the same so it would be great if we were able to ride as one group for the final 16 miles. Many thanks to Dave Howe for creating the routes for this week. The votes are in and the location survey is now closed. Over 75% voted for a hot, fork buffet meal in the Rose & Crown and it is the location availability that has dictated the date. However, we now need your input on choosing the menu for the night so… another little survey for you…. £15 per person; partners welcome. Sally Beezer and Elke & John Hegarty will be collecting bookings & money. A Bit of Mark Ronson for the Weekend…. & Christmas Party Info! It’s called “The Bike Song”…. and you can hear it here – if you’re that interested!! Sally Beezer & Elke Hegarty will be collecting bookings & money. Apologies for the lateness of this post. Blame Mr Fawkes ! As usual, please gather at the Rose and Crown to depart at the time stated. Bring a copy of your chosen route with you either digitally or the traditional way, on paper. I’ll be 44 on my next birthday… the same age that Francis Bacon was when Guy Fawkes did his homemade chemistry experiment in 1605. Amongst other things, Frances Bacon is known as the father of modern science methods. He also had a lot to say about a lot of things…. “Nothing is pleasant that is not spiced with variety.” Bit like the Tea Ride then…..
“Write down the thoughts of the moment. Those that come unsought for are commonly the most valuable.” The average Tea Ride post then – definitely “of the moment”…. “No body can be healthful without exercise…” Need I say more?! “People usually think according to their inclinations, speak according to their learning and ingrained opinions, but generally act according to custom.” And it’s our custom to be out on 2 or 3 wheels at 10am on a Saturday morning….